Atlee withstood second half full-court pressure from Prince George to hold off the #2 ranked Royals 46-43 in the consolation semis of the Times-Dispatch Invitational Tournament at Crenshaw Gymnasium at Randolph-Macon College. In the end, it was about the people. 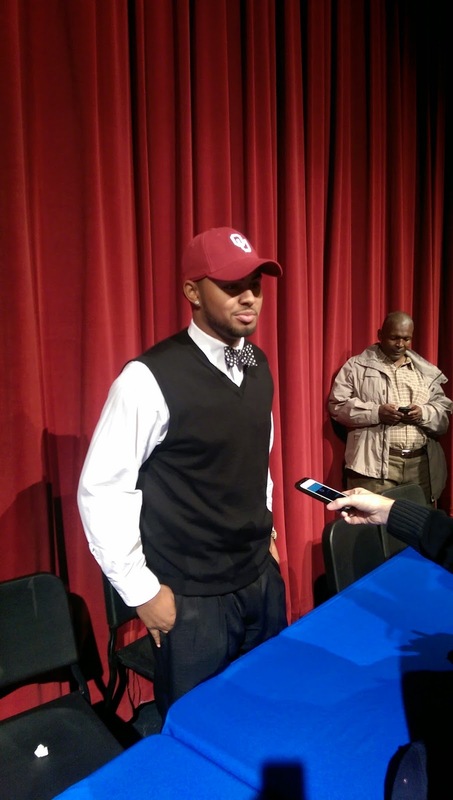 That's the word from the two people who mattered most in the Atlee High School auditorium Friday morning as prized linebacker recruit Ricky DeBerry announced he would play college football at the University of Oklahoma. DeBerry's parents, Rick and Angela, both told the RVA Sports Network that during their exhaustive search of schools, taking over 30 official and unofficial visits during the process that led to today's decision, their focus was on the people they met, and those who would work with their son over the next four years. 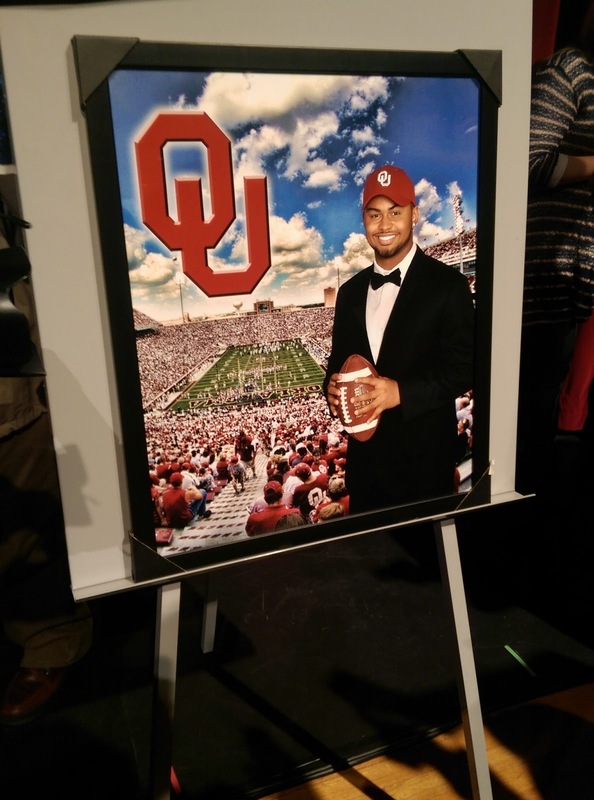 DeBerry chose Oklahoma over his other seven finalists: Virginia, Virginia Tech, Alabama, Tennessee, Texas A&M, Penn State, and Michigan State. He came to his final decision late on Thursday night. A portrait of DeBerry and Gaylord Family Oklahoma Memorial Stadium (below) was unveiled as DeBerry picked up the OU hat from the eight in front of him on the tables during the ceremony. Look for a special profile of the DeBerry family, and how they handled this process, in a special New Year's edition of the Hanover Herald-Progress, available to subscribers and on newsstands New Year's Eve. 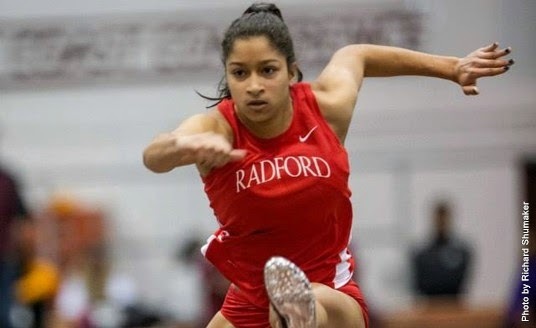 Two Patrick Henry graduates are leading the way as indoor track season is underway for Radford University. CLICK HERE to read about Jessica Shelton and Shania Williams' performances at the Darius Dixon Memorial Invitational at Liberty University! The Hanover men overwhelm Colonial Heights from the start. In the three events, Hanover swept the top two spots running out to a 37-9 lead from which Colonial Heights could not recover. Hanover won all three relays and 6 of 8 individual events. Seth Gulas won two events for Hanover (50 free and 100 free) while Josh McBryde was lone highlight for Colonial Heights with victories in the 100 fly and 500 free. Hanover freshmen Marshall Brooks, Ross Newton and Patrick Townsend all won an event. Junior Garrett Gauntt won the 200 IM. On the girls side it was a back and forth affair with Colonial Heights taking the early lead with victories in the first three events (200 medley relay, 200 freestyle, and 200 individual medley). Hanover pulled ahead with a 1-2-3 sweep in the 50 free. With only two events left in the meet the two teams were tied 70-70. In the 100 breast, Colonial Heights took first place, but the Bella Seip, Quinn Tanner and Rylee Evans gave the Hawks a 2 point lead going into the first race. Colonial Heights took 1st and 3rd in the final relay to come from behind and win the meet. Hanover was paced by freshman Kayleigh Gordon and Ellie Sherry who both finished with one 1st place and one 2nd place. Congratulations to the following seniors for being named to the 2nd Annual Big River Rivalry All-Star High School Football Game, to be held Saturday, December 20th at Randolph-Macon College. Kickoff is set for 1:05pm. 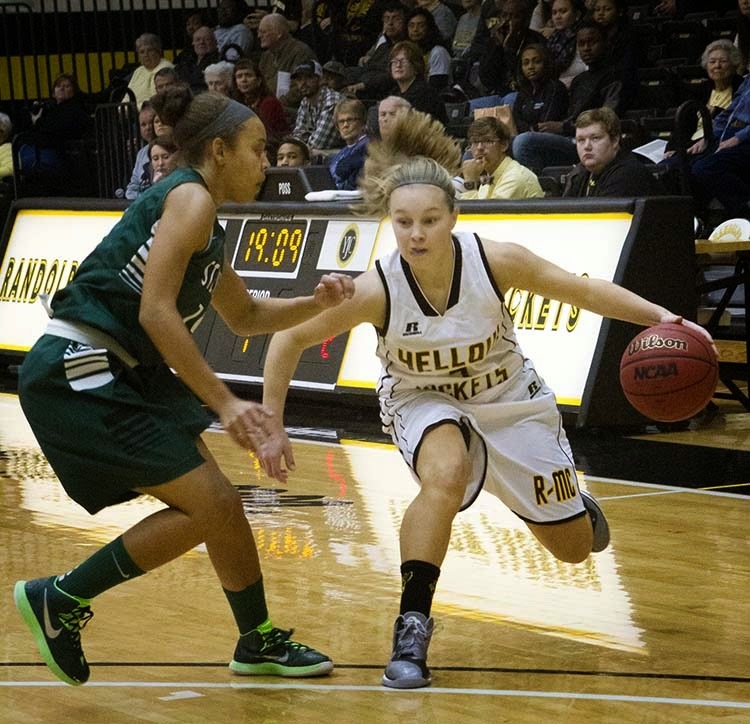 As they prepare for their Old Dominion Athletic Conference (ODAC) opener tonight at home with Eastern Mennonite, the Randolph-Macon Yellow Jackets find themselves a bit higher in the latest WBCA Top 25 Division III Women's College Basketball Poll. The Yellow Jackets moved up three positions to #21 in the poll released Tuesday, the only ODAC team in the poll or to receive votes for the poll. Randolph-Macon is 5-0, looking to make it 6-0 when they face 4-1 Eastern Mennonite, who is already 1-0 in ODAC play having defeated Emory & Henry. 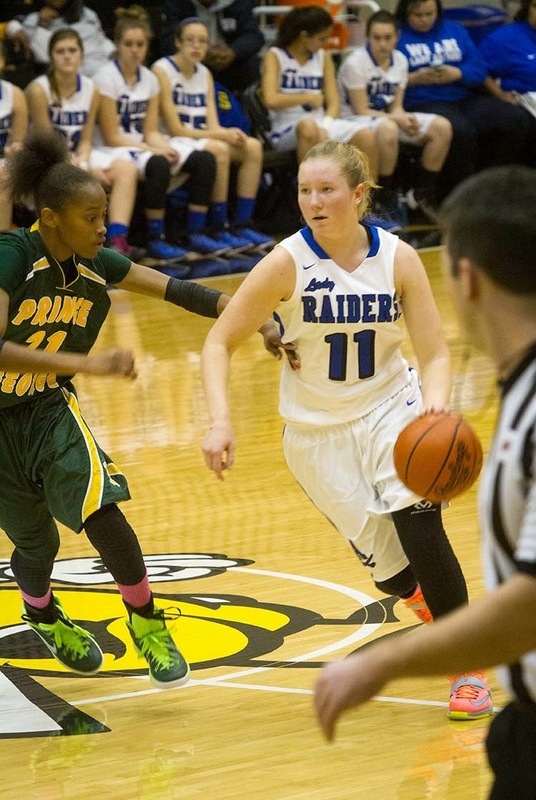 HOOPS: Inaugural RVA Sports Network Top 10 Boys, Girls Polls Released! The votes are in and the inaugural RVA Sports Network Top 10 Boys and Girls Basketball Polls have been revealed on the eve of the 2014-15 season openers! See the list below, and follow @TheRVASportsNet on Twitter, where new Top 10 lists will be announced each Sunday during the regular season at 9pm, ET! BROADCAST NOTE: The #1 boys team, Henrico, will open Monday night at Mills Godwin, and the RVA Sports Network will air the game LIVE at this website! Coverage begins with the girls game at 5:45pm, followed by the boys! Congratulations to Miranda Hall of the Hanover Hawks, named to the First Team Group 4A All-State Girls Volleyball team today by the Virginia High School League (VHSL) and to her teammate, libero Rebecca Hoover, for being named to the Second Team. Hall and Hoover were mainstays of a Hanover team that won the Conference 20 regular season title and advanced all the way to the 4A South Region Semifinals this season. Both also will return for the Hawks in 2015. For a complete team list, click HERE. Patrick Henry's All-Conference 16 Fall Honors! Congratulations to the following student-athletes who attained All-Conference 16 honors in football, field hockey and girls volleyball this past season! If you're going with RVA Sports Network to Newport News to cheer the Hanover Hawks on in the 4A South Region 2nd Round tonight, directions are below! REMINDER: the game kicks off, like last week, at 7:30pm. Congratulations to the following student-athletes for their achievement on being named to the 2014 All-5A South Region Boys and Girls Volleyball Teams! Lee-Davis heads north, while Atlee and Hanover go east for 5A State Volleyball Semifinal action on Tuesday night. Here's what you need to know if you're going! --Turn left onto VA-621, proceed 1.1 miles. During this time, 621 and 659 merge. --Take Exit 264 for I-664 South, proceed through tunnel, stay on 664 until it meets up with the back end of I-64 in Chesapeake at mile marker 299. --Immediately turn right on Margaret Booker Drive, drive 1/3 mile to the school. Clayton Cheatham runs wild again, this time for 257 yards and four scores, including a 97-yard second half touchdown run as the #7 seeded Hawks defeated #10 Tabb. The victory, in which the Hawks led the entire game, propels Hanover into a showdown at #2 Heritage/Newport News next week. Hanover, now 8-3, has won at least one playoff game in each of the last six seasons. A valiant effort in Dumfries falls just short as the Patriots' five-game winning streak, and season, both come to an end. The lead went back and forth the entire game with the Panthers taking the lead for good on a touchdown with 2:45 to play. Patrick Henry finishes 6-5, their first winning season since 2008, and though they will lose key pieces to this year's puzzle, plenty of talent returns, and Bryan Davis has a full off-season to work with them. Patrick Henry will face a much tougher regular season schedule next year moving to the Capital District, but Davis will have the Patriots ready for the challenge. For the second year in a row, the Raiders saw their season end on a frigid night in Chester, and, for the second straight year, it was the Skyhawks rushing attack that did the Raiders in. Atlee, playing without Ricky DeBerry, couldn't stop Stephen Mines, who rushed for 244 yards and three touchdowns. Former Hanover standout Jalen Elliott completed five of eight passes for 143 yards and two scores, both to wideout Tyler Wilkins, who caught all five completions. Loumond Dandridge was held to 22 yards on 12 carries as Atlee ended its season at 8-3, and still trying to find that signature win that would put them in the same category in Central Region lore with the likes of L.C. Bird, Hermitage, and Varina. 5A NORTH: #10 PATRICK HENRY (6-4) at #7 POTOMAC (5-5), 7:30pm: For the first time since November 23, 2007, the Patriots take the field in a postseason game. Once playoff staples, the Patriots clinched just their first winning season in six years with a 23-21 road win at fellow playoff team Douglas Freeman last Friday. The Panthers won three of their last four games to clinch home-field for tonight's game. Bender Vaught will need to exceed the rushing output of the Panthers' Mike Hawkins, winning the war on the line of scrimmage, while freshman quarterback Hunter Hart needs mistake-free football. The winner gets the winner of the #15 Brooke Point and #2 undefeated Massaponax next Friday. 5A SOUTH: #5 ATLEE (8-2) at #4 L.C. BIRD (8-2), 7pm: Rematch of the 2013 5A South Central Championship (5A State Quarterfinal), won by the Skyhawks 46-10 en route to their second straight state championship. Last year's game was closer than most people think, though the Raiders never had a legitimate chance to win. This season, head coach Roscoe Johnson, his staff, and returning players know exactly what to expect in Chester, how the atmosphere is, and how to plan for the cold weather. The Raiders desperately need four quarters of solid football, which has been hard to come by this season. They cannot afford, for example, the uneven performance of last week's first half against Lee-Davis. Rashard Harris needs his best game passing, turnovers must be limited, and we know the Bird defense will swarm Loumond Dandridge in order to force someone else to make big plays. Who will be the player to step up? Winner gets the winner of #8 Meadowbrook and #1 Highland Springs. 4A SOUTH: #10 TABB (7-3) at #7 HANOVER (7-3), 7:30pm: Though there are many, many pieces to the puzzle of success for Hanover this season, and certainly their four-game winning streak down the stretch, one cannot help but look at the impression made by the performance of sophomore quarterback Clayton Cheatham. The only loss hung on him under center was Week 4 at Highland Springs, when, trailing 20-0 in the fourth quarter, his hand met a Springers' defender's helmet in mid-throw, causing him to miss the next two games. Hanover lost them both (Atlee, Henrico), and were 3-3 with no assurances of a ninth straight postseason appearance. Cheatham returned and the Hawks have been on a roll. Of important note, the Hawks defense is stingy, having allowed 20 points or more just twice this season, giving up just 14.2 points per game all year. Tonight, they'll have to contain senior tailback Antwuan Hicks, who averages just over 100 yards per game and can stretch the field as a receiver as well. Winner gets the winner of #15 Churchland and #2 Heritage of Newport News next Friday. Follow @hanoversports on Twitter for updates all night long as the playoffs begin! The Lee-Davis Confederates girls volleyball team are headed to the 5A State Championship Tournament by virtue of their four-set victory Wednesday night over Mills Godwin, their third win of the season over the Eagles, in the 5A South Region Semifinals at Meadowbrook High School. It was a team effort, with Kendyll Brown setting the pace early in the middle, Rachel Gaston and Jordan Martin making their mark on the outside later after the Confederates lost their first set to the Eagles all season in set two, 25-20. Martin told RVA Sports Network her team took the Eagles too lightly after the 25-14 set one victory, and turned up the intensity in set 3, retaking the lead with a dominant performance winning 25-11. Then the Confederates withstood one final push by Godwin late in set four to win the match, and the berth in Tuesday's 5A State Semifinals. Lee-Davis will host the match if they win the 5A South Region Championship Thursday at 5pm against Princess Anne. If they lose, they would travel on Tuesday night. To watch our interview with Martin and Carley Tate post-match, CLICK HERE. To watch Match Point, CLICK HERE. Congratulations to the following student-athletes for their recognition on the All-Conference 20 Boys and Girls Volleyball teams! All-Academic honors are denoted with (*). NOTE: KICKOFF IS AT 7:30PM. 1) Go to Interstate 95 North, take 58 miles to Exit 152-A to merge onto VA-234 S/Dumfries Road. 2) Drive 3/4 mile, turn left onto Route 1 North. 3) Travel 1.2 miles, then turn left onto Panther Pride Drive. The school will be on the left.